Stephanie Holder and her children Mackenzie, 9, and Grayson, 3 months, are thankful for the counseling services at Children’s Harbor. Journal photos by Sarah Kuper. 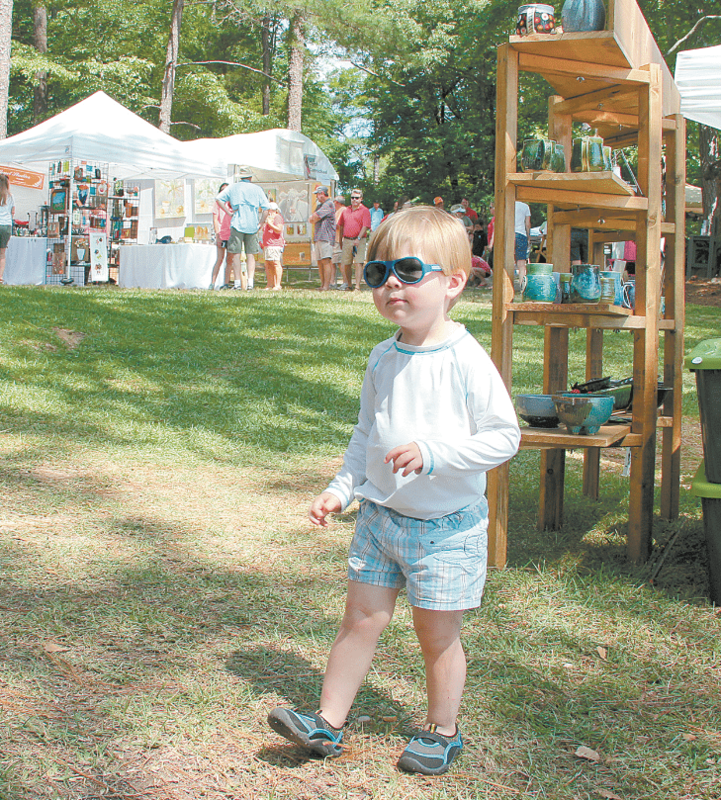 The annual Art on the Lake event benefitting Children’s Harbor is May 26 at Lake Martin. 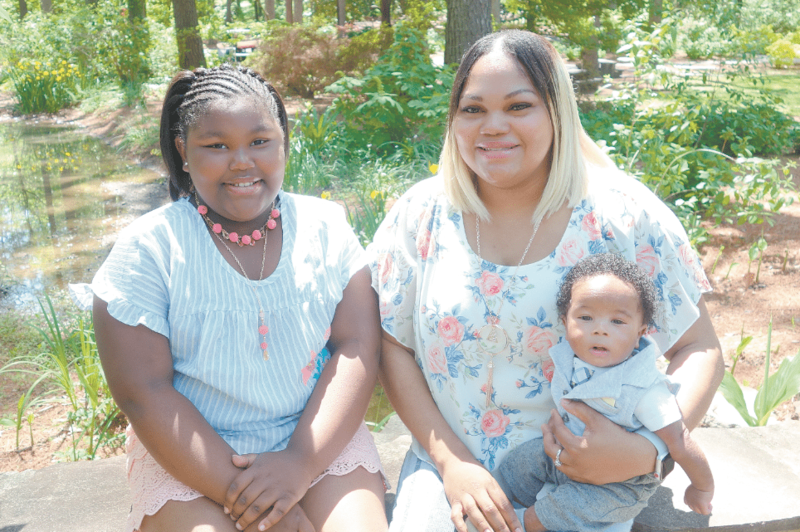 The Birmingham-based nonprofit organization is not only a resource for long-term, seriously ill children, but also for their support system – in particular moms. Stephanie Holder has made use of the resources at Children’s Harbor from the time she was diagnosed with diabetes as a child to now, as her own daughter struggles with health issues. While Holder is thankful for the many resources at Children’s Harbor, she speaks most highly about the organization’s counseling and mental health services. Today, Holder uses Children’s Harbor in a different way – as a mom. “Nobody ever tells you that once you have a child, you do so much for your children and you start to feel like you have nobody to talk to. You have everything build up inside you. Here you can let it out, it is like a judgment-free zone,” she said. In addition to her 9-year old, Holder has a 3-month-old baby. Professionals at Children’s Harbor helped her through a complicated pregnancy. “I found out I was pregnant at six months and the baby came a month early. My counselor held me together. She gave me praise and confidence. Without it I would have sunk down into postpartum depression,” Holder said. Today, Holder still regularly sees her counselor, Jenny Tudisco, and her 9-year-old daughter also benefits from talking with the professionals at Children’s Harbor. “She has had a lot of health issues and we are in and out of the hospital. It is great that she has someone to talk to – she can tell her things she doesn’t even tell me,” Holder said. The programs at Children’s Harbor have helped Holder and her family mentally cope with health issues and they’ve helped Holder succeed professionally, too. Through Children’s Harbor’s Career Development and Transition Program, Holder gained skills to become a certified clinical medical assistant. Also valuable to parents is Children’s Harbor’s tutoring initiative, in which sick children can keep up with school work they may be miss- ing in class. This Mother’s Day, Holder is thankful for the way Children’s Harbor helps her be the best mother she can be. Holder said she plans to be at Lake Martin Memorial Day weekend for the Art on the Lake event. Children’s Harbor has a Family Center in the Benjamin Russell Hospital for Children and a camp on Lake Martin.